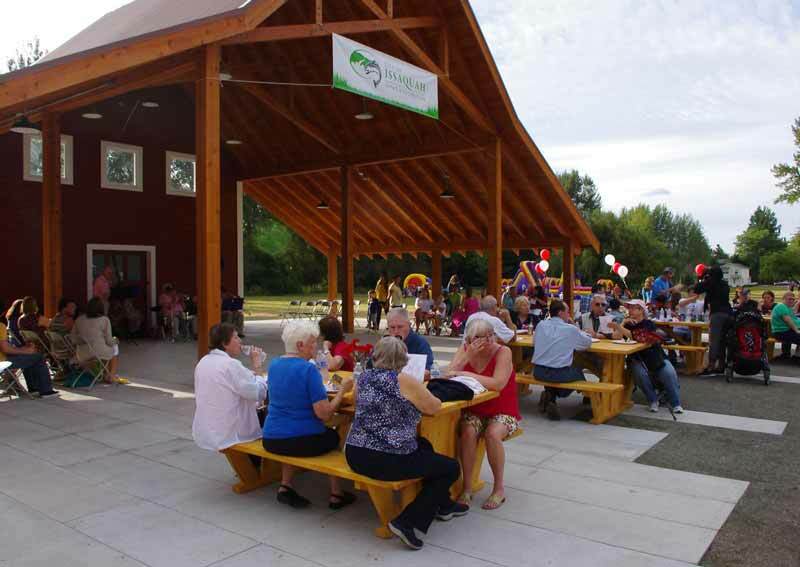 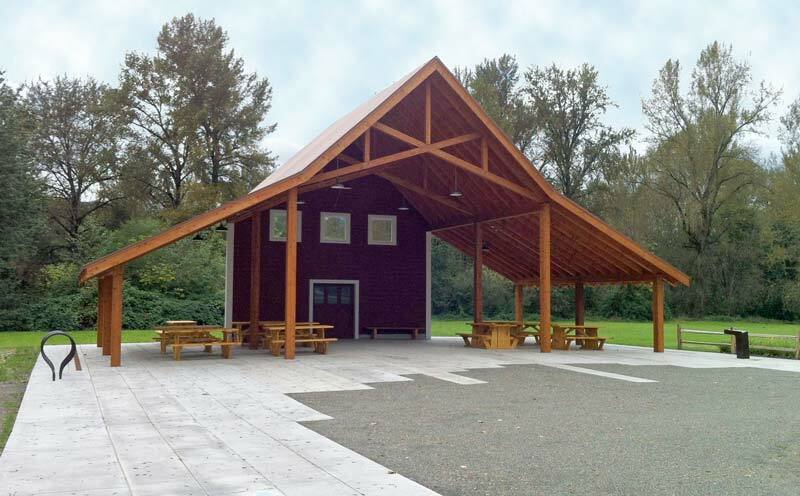 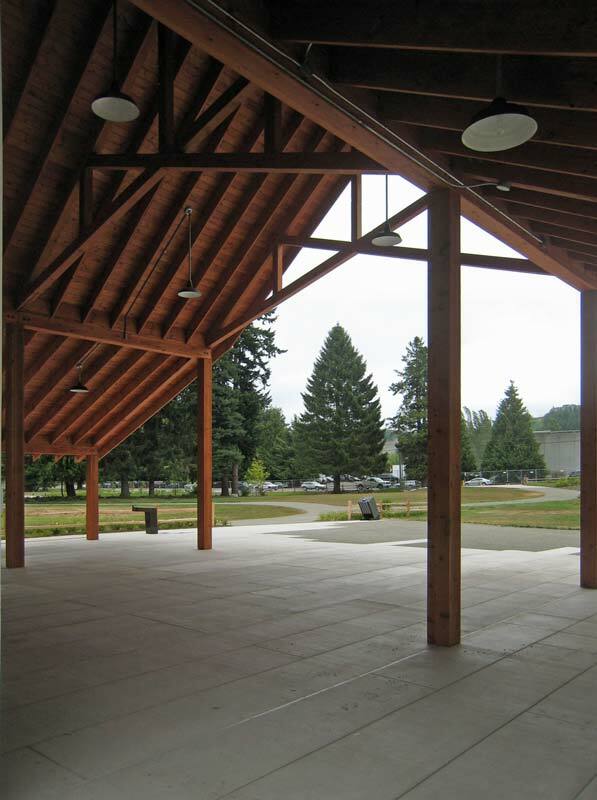 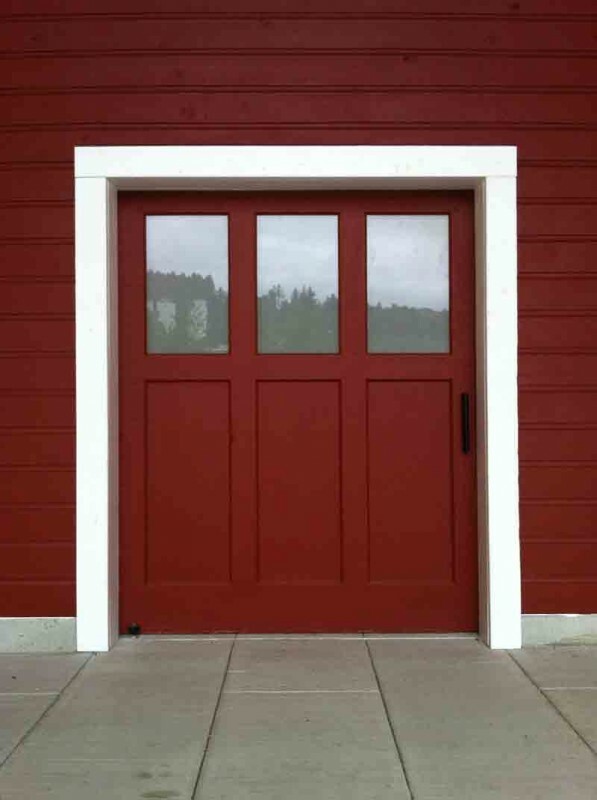 The picnic shelter at Issaquah’s newly christened Confluence Park mimics the historic Anderson Barn that preceded it. 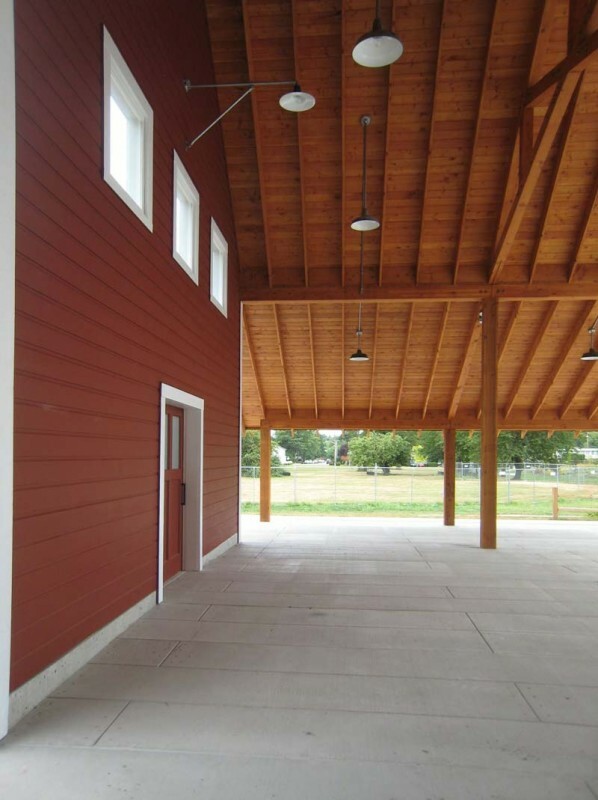 Light fixtures and the sliding door were salvaged from the original structure for re-use. 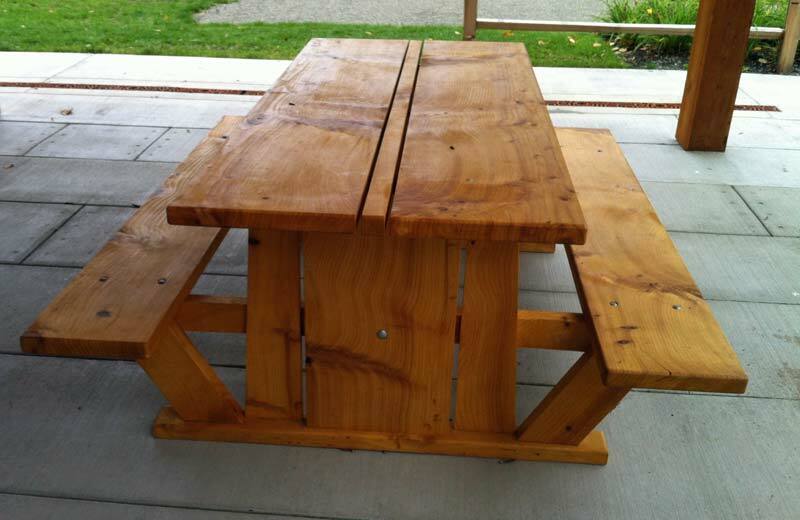 Custom designed furniture and the roof truss system were built by the carpentry students at Seattle Central Community College.